I’m now in my tenth month of blogging, I think that is a record for the longest I’ve kept doing a hobby. When I got the final push to start my blog, I’d already decided on my name ‘Dear Bear and Beany’, it was an obvious choice for me. I decided I wanted to write about my girls and these are the names we call them. It was actually Andy that gave them their nicknames and they have just stuck. You will often hear Holly shouting out ‘Alice Bear’ and Alice saying ‘come on my little beany bop’. The name and the bear logo went together and the tagline ‘A Tale of Two Girls’, suited what I was going to write about on my blog. I loved it and I fell completely in love with blogging. But recently I felt like I had outgrown it. 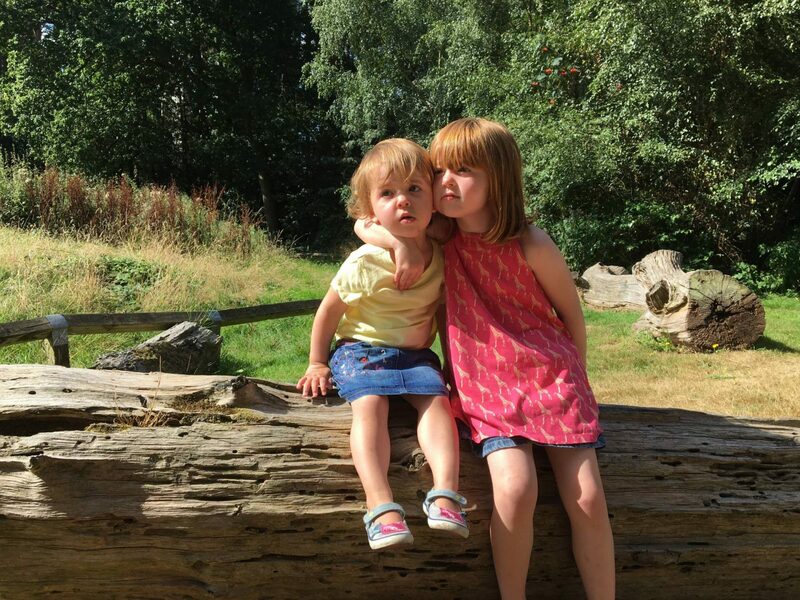 To be honest I have debated changing my blog name, whilst I love it because its my girls nicknames, I worry that it restricts me and what I can write about. But being a complete newbie, it would be crazy to start again. So, the name is staying! What I could change was the bear logo, which I felt was a bit ‘cute’ and I don’t really want to be cute if that makes sense. It felt like it was time for my blog to grow up. A big change that I wanted to make for not only the look, but my blog overall and that is to include a bit more ‘me’. Whilst I love writing about my girls and this will always be my first love to write about. I have so much more that I would like to write about. So, I set about designing a new header with the help of a lovely lady who has been very patient with me. And with a lot of changes (from me), I finally decided on this one. What I did decide to do, as I wasn’t going to change my blog name, was to bring a bit of me into the tagline. This probably took me the longest to come up with me. I am really pleased with it. It feels a lot more ‘me’ and I just LOVE the colour. I have refreshed the photos in my about page. I’ve done the same with my contact page and work with us page. I still have some changes that I want to make to my work with us page, as I have now worked with more brands than are currently on the page and I want to showcase them better. There is also a few more bits to do behind the scenes with my categories and the nav bar. But, every little change is very time consuming and I am spending every night doing some more changes. But I am nearly there! I really need to update the picture of me and the girls in my sidebar, as Holly looks so little and is now two years old. But, with Alice now at school getting time to take photos with her in them is not as easy. So that is still on the ‘To Do list’. I hope to get the last few bits finished next week, but that is it my fresh new look for my blog. I am really happy with it and I feel like I have fallen in love with it all over again. They have the sweetest nicknames and the new design looks so good. The tag line really completes it and I think you have something unique here! It looks fabulous, and I’m glad you didn’t change the name, I think it can work for anything you want to write about; it’s the story of you as told to your daughters. I love that blogging isn’t just about writing, you get to play with websites and make them beautiful too! The new header is so cute. I was in the same boat as you with dearlittlelucas.com, I kept batting back and forth and thought, that’s it it’s time for a change, so I changed and i’m hoping it will work out for me. Rebranding is so scary. I can’t wait until our little lady is here to finally get my lovely friend to illustrate our new header! Mines grown a little old now. I spiced it up with some halloween things but cannot wait to get our new header done too! It’s looking fabulous! I’m glad you kept the name though, I really like it. I’m glad to have a name that’s doesn’t contain ‘mum’ or ‘mummy’, I think it offers a lot more possibilities for the blog to develop naturally.